Pair your discerning lifestyle with a gorgeous abode in these listings of Governors Club homes for sale below. 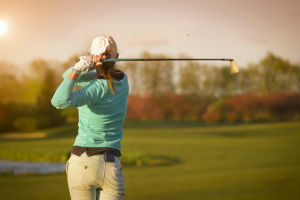 Established in 1988, the Governors Club in Chapel Hill is a private and gated golf community which has been perfectly designed to complement those who enjoy the finer things in life. Just 13-minutes to downtown Chapel Hill, this luxury community is set out in the quiet countrysides of North Carolina, offering homebuyers world-class amenities, private rural location, and award-winning golf, all just a few steps from your potential home. View all of the current homes for sale below or keep reading to learn more about Governors Club real estate and exciting lifestyle amenities. Governors Club realty offers everything you need to enjoy an enviable lifestyle. Developed around the finest country club in the area, homeowners can enjoy a terrific variety of everyday leisure and events offerings. The course itself was designed by none other than Jack Nicklaus and offers 27-holes of award-winning golf. The country club also offers a wellness center, indoor and outdoor aquatics, day camps for kids, tennis courts and programs, and exclusive fine dining. Those with an affinity for water sports can take advantage of the nearby nature preserve, Jordan Lake, for recreational boating, fishing, hiking, and camping. Governors Club is located just 13-minutes from downtown Chapel Hill, 20-minutes to the Research Triangle Park (RTP) and the Raleigh-Durham International Airport (RDU), and just 10-minutes from the University of Carolina at Chapel Hill, homes in the Governors Club have everything you need in a community that's fun for the whole family. To learn more about Governors Club real estate and to request a showing, contact the team at My NC Homes today! Send them a message online or give them a call at 919-659-6173.